Social Media is an undeniably huge part of digital marketing and although there are now a plethora of other channels available, Facebook is still dominant in this arena. So what should you be doing to make the most of your Facebook marketing? Facebook has 2.2 billion users, so if you don’t already have a Facebook page for your business, you should create one as soon as possible to engage with this huge audience. It’s easy to set up and best of all, it won’t cost you a penny. Posting regularly on your Facebook business page is key to attracting and engage your audience. Posts should be interesting, relevant to your business and add some kind of value for the audience. So whether that’s a link to an article on your blog or a link to a useful video or a humorous meme or photo that is somehow related or relevant to your industry, you should be posting regular content that highlights you as a source of information, entertainment and value to your desired audience. You can then pay for your post to be boosted. Using Facebook’s inbuilt tool you can select how much you want to spend and what audience you want to reach. You can target your audience based on things like location, age, gender and interests. The post will then appear in the news feeds of your desired audience. Boosted posts are the most basic form of advertising on Facebook and are great for promoting your brand and encouraging likes and shares. These should not be confused however with Facebook Ads which are more complex. Advertising on Facebook should be a key part of your digital marketing strategy. It is similar to boosted posts but can only be achieved with a Facebook Ad Manager account and has many more customizable options to increase engagement. When creating a Facebook Ad you must first choose your objective. This could be brand awareness, getting people to download your app, driving traffic to your website or a plethora of other things. Choosing the right objective at the beginning of the process will help make sure your ad is formatted and promoted in the right way to achieve your desired outcome. Then, you must select your audience, choose whether you also want to run your ad on Instagram and other mobile apps and select your design and format. Taking your time to set up your Facebook Ads properly is key to their success. There are a number of ways to customise the advertisement to make sure that it benefits your business in the best possible way. Make sure you take advantage of these customizations and maximize your ad’s potential. One of the major benefits of advertising on Facebook as opposed to in magazines, on billboards or on TV is your ability to reach a huge yet very specific audience. This makes it not only more effective but also more cost-effective. Facebook Ads allows you to target a particular audience based on a number of factors like age, gender, relationship status, education, workplace, job titles, location, interests and their purchase and browsing behaviors. So, for example, a wedding music band in Sydney could target an audience based on their ‘engaged’ relationship status and their ‘Sydney’ location to access the people who are most likely to require their services in the near future. Facebook Ads also lets you choose between different types of audiences. These are broken down into Lookalike Audiences and Custom Audiences. A Custom Audience is set based on the data you already have, or the customer data created by the targeting options you choose whilst creating the ad. A Lookalike Audience is an audience that has characteristics and interests similar (but not identical) to your custom audience. You can set the level of similarity for your targeted Lookalike Audience from a scale of 1 to 10. Facebook instantly makes you more accessible and visible to your customers, but it can’t also be used as a means of acquiring additional information, engagement and commitment from your audience. For example, by running competitions and giveaways via your Facebook page you can gain valuable data and information like e-mail addresses so that you can then directly access your customers with newsletters. Be careful not to over-do it and spam your customers with too much junk, however. Try to build their trust and loyalty by adding value to every interaction. For example, you can send discounts and promotions exclusive to those on your mailing list. You can also keep track of how your posts and adverts are performing with Facebook Page Insights. You can view your post-performance, see how many likes your page has received and when these likes occurred, see the gender, age, location and language of the people who like your page and much more. Keeping an eye on this information will help you ensure that your budget is being allocated appropriately and that you are maximizing audience engagement. Getting people to like and share your posts is great for brand awareness but if you’re not also using this to increase traffic to your website then you’re missing out on a lot of potential business. When posting content on Facebook, make sure you regularly include links to your own page and call to action buttons on your ads to increase engagement and convert users into customers. 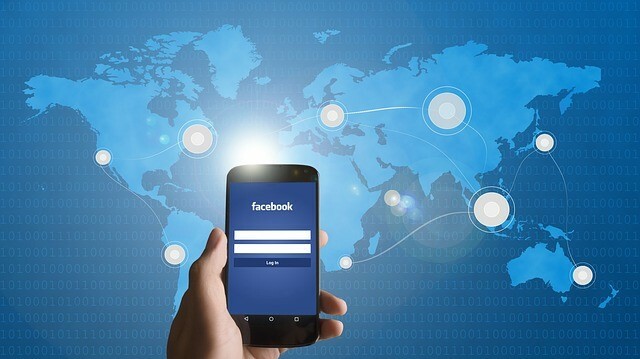 With so many features and benefits and a whopping 2.2 billion users, Facebook should be a staple part of your digital marketing plan. To set up your Facebook Business Page, click here.